ICFM Conference 2018 from ICFM on Vimeo. ICFM Diploma Programme In Car Fleet Management from ICFM on Vimeo. The ICFM Conference 2016 from ICFM on Vimeo. ICFM 2015 Finished from ICFM on Vimeo. 2014 ICFM Annual National Members' Conference Highlights from ICFM on Vimeo. 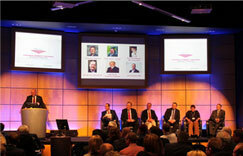 2013 ICFM Annual National Members' Conference Highlights from ICFM on Vimeo. ICFM 2012 Annual National Members’ Conference from ICFM on Vimeo.